The NHL will not be participating in the 2018 Olympics in PyeongChang. If the statement sounds a little on the snarky side, it’s hardly surprising. The NHL and the owners have indeed been mostly against Olympic participation and the Board of Governors wasn’t exactly on the fence. “…we were open to hearing from any of the other parties who might have an interest in the issue (e.g., the IOC, the IIHF, the NHLPA, etc.) as to reasons the Board of Governors might be interested in re-evaluating their strongly held views on the subject,” said the NHL’s statement. 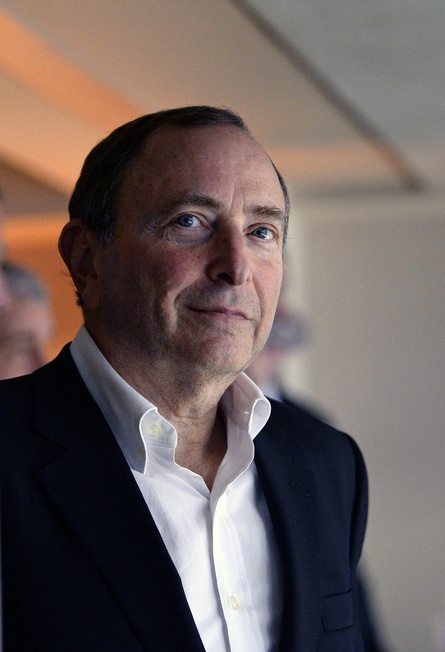 According to the NHL and the owners, the 17-day disruption of the league’s schedule was simply not tolerable – especially given the location of the Olympics in 2018. Make no mistake about it, the NHL will try to sell the living daylights out of the sport when it comes to the Beijing event in 2022. But the IOC may not be interested. There are a lot of good arguments against going to the Olympics. The IOC’s refusal to cover critical costs is one, while potential player injuries and a compressed schedule are also issues worth mentioning. And some teams point to a disparity in the number of players sent to the Games, with the Detroit Red Wings sending a whopping 10 players to Sochi in 2014. Henrik Zetterberg came back with an injury, a reality not lost on the owners. The NHL first headed to the Olympics in Nagano in 1998 and has done so five times without any measurable net benefit, with negative sentiment building in the Board of Governors each time out. And while the players are mostly in favour of attending the Games, the owners invariably call the shots. With the South Korean market and the time difference for North American audiences, it’s not hard to see how and why 2018 is a no-go. Previous What’s Next for the Los Angeles Kings?